Port of Adria, former company Container Terminal and General Cargo Bar, is part of Global Ports Holding. The main activity of the company is the transshipment and storage of containers and all types of general cargo on the surface of 520.000 m2. They feature fully equipped technological units – container terminal, general cargo terminal, timber terminal, Ro Ro terminal and cruise terminal, with a total of 9 berths. They have 12 closed warehouses, as well as an open storage space. Last year, the company opened an office in Serbia, and the volume of business is growing. This was our reason for a more detailed presentation of Port of Adria. Velizar Perunovic, commercial director of Port of Adria in an interview with PlutonLogistics talked about the results of that company, cooperation with companies from Serbia, and the short-term and long-term plans. PL: Serbian companies are traditionally oriented towards Bar. How much is our market important for the company Port of Adria? – Serbia has always been and still is the strategic partner to Bar’s port in relation to the other countries in the region. That’s why, at beginning of 2017, the Company opened its branch office in Belgrade in order be closer to its clientsin the main economic and industrial center of Serbia. The results of such proactive activity are already visible – the number of containers in import with the destination of Serbia, in the first quarter of 2018has increased from 2,327 to 2,983, compared to the same period of 2017, while the export in the same period increased from 769 to 1,525 containers. This represents an increase of 28% in import, ie 98% in export. The transshipmentof the general cargo in the same comparative period, with Serbia as the country of origin or destination has increased for 6%, which leads to a total increase of 42% in the import and 94% in the export. 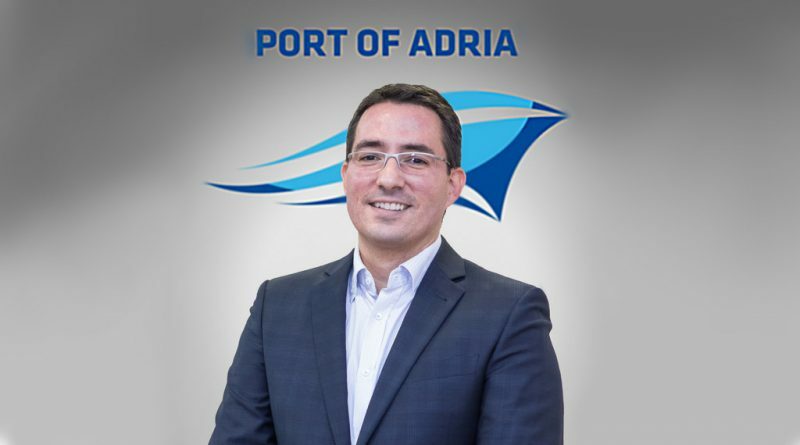 PL: The Port of Adria, former Container Terminal and General Cargo, is a part of the Global Ports Holding, which invested more than 20 million euros in its business operations in Bar. What capacities do you have now? – At the beginning of 2014, the Company became a part of areputable international cooperation, the Global Ports Holding. The new name of the Company reflects our vision in the best way – to become the main port / gate of the Adriatic. Although recognized as the world leader in cruising port management, the Global Ports Holding annually transships 5.2 million tones of cargo in its ports. From the privatization process, more than 28 million euros have been invested in the Port of Adria JSC. By procuring the new crane, with the existing available crane and implementation of other investments which include procurement of universal mobile crane Gottwald HMK260E and buying new horizontal mechanization and equipment, installation of new terminal software, investment in infrastructure and human resources, the Port of Adria tripled its operative capacities. Our basic activities are handling operations and storage of containers and all kind of general cargo on the area of 520.000m2. We have completely equipped technological units, such as: container terminal, general cargo terminal, timber terminal, Ro Ro terminal and cruise terminal, with total 9 berths. The impressive storage area includes 12 closed warehouses of a total area of 76.732m2 and 163.390m2 of open storage area. The railway tracks go to every ship berth and warehouse, so that the direct handling operations of road-rail-ship are possible. On every dock, it is possible to anchorat the same time different types of ships as per international usances with a declared draft of 11m. The whole area is fenced, covered by video surveillance, by which high security is ensured for the goods and performance of handling operations. PL: You have started the first quarter with good results. The total transshipment of cargo is higher by 54%. What contributed to this result? 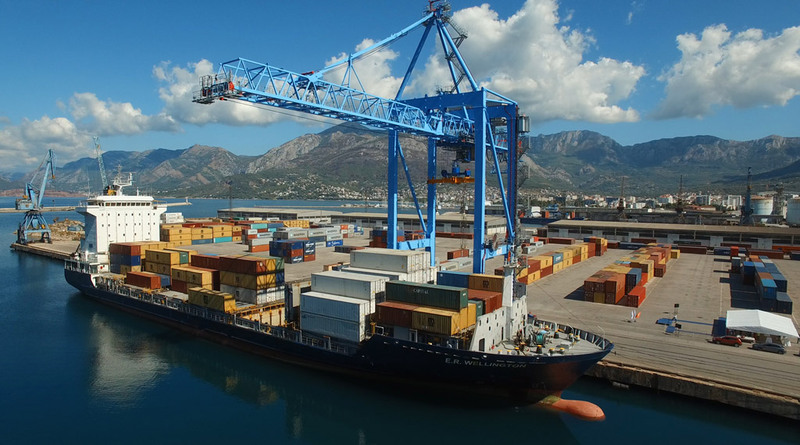 – The total transshipment of cargo in the company Port of Adria for the first three months of this year was 152.747 thousand tons, which is 54% more in relation to the comparative period of last year. The transshipment of containers in TEU units recorded increase of 7%, while the transshipment of general cargo is higher by 162% in relation to the same period in 2017. In relation to the same period in 2013, before the privatization, in the first quarter of the ongoing year, the transshipment of containers in TEU units increased by 65%, while the transshipment of general cargo is higher by 35%. Next to the mentioned improvements which are results of conducted investments, the professionalism and commitment of all employees are of key importance for the success which we achieve. PL: Which maritime companies do you cooperate with? Which countries are you trading through Bar to and from Serbia? Which goods are most transported through the Port of Adria? – Our strategic partners are the leading shipment companies, such as Mediterranean Shipping Company, Maersk Group, CMA CGM Group and Hapag Lloyd. One of the priority commercial goals of the Company is to improve cooperation with existing maritime companiesin the upcoming period, as well as to establish the regular container lines with other companies which reach with their own lines other ports in the Adriatic. The most goods in Serbia comes from China, India, Ecuador, Canada and Spain, while mostareexported to China, America and Canada. When we talk about the most important goods that are mostly transported through our port, from general cargo they are: hot/cold rolled strip, aluminum, timber, bananas, cement, galvanized sheet metal, as well as equipment – project cargo. When it comes to the containerized cargo, the most important goods are: bananas, polyethylene, machines and equipment, sugar, frozen products, ceramics, textiles, ores, various consumer goods, etc. PL: What would you choose as interesting projects or businesses carried out in the last period? What advantages would you point out in comparison with other Adriatic ports? – The Port of Adria JSC can satisfy partners’demands at any moment. 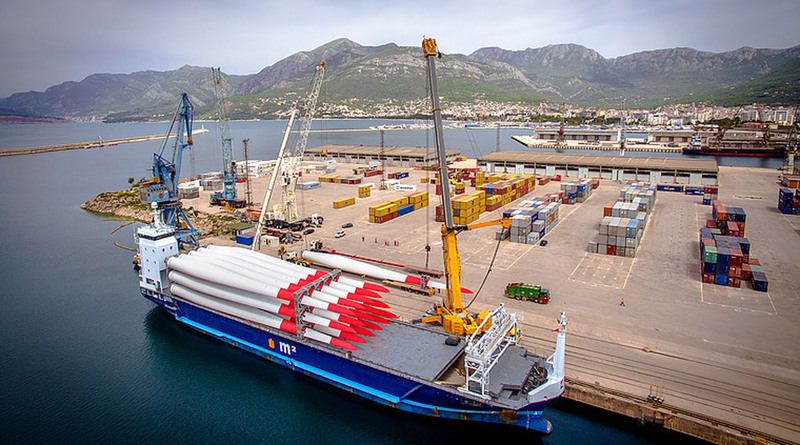 In the last 3 years, we have successfully implemented handling of various special cargoes for projects of significant importance for Montenegro, such as: windmills for project on Krnovo, transformers (individual height of 200 tons) for EPCG, undersea energy cable between Montenegro and Italy, as well as equipment for construction of highway Bar-Boljari. In order to implement construction of windmillon Možura, in this year we accepted only two ships which delivered from the China components of the windmill and equipment. It is a project of strategic importance for the economy of Montenegro which is valued at 87 million euros. In the next period, we are expecting a continuation of delivery of equipment for the ongoing projects, such as the construction of highway Bar-Boljari and substation on the location Lastva Grbaljska. We often have the opportunity to accept American and other national warships. The Port of Adria is connected with all main areas in Montenegro, Serbia and Bosnia and Herzegovina by road and it is closer in comparison to any other port on Adriatic. The highway project Bar-Boljari will enable for the Port of Adria to become more competitive and accessible. PL: Which clients are you working the most with? – We have continuous cooperation with all agents, global and local logistics, forwarders which are present in our branch. I mentioned some the more important clients, such as: Philip Morris, Coca-Cola HBC Serbia, Agromarket, Gorenje, Tetra Pak, Rastoder, Carnex, Nestle Adriatic Foods, Cooper Tire & Rubber Company, Pestan. 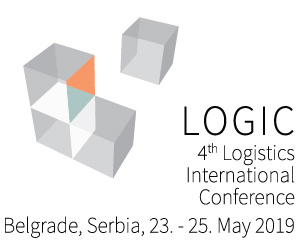 When we talk about general cargo, our strategic partners with which we have long-term cooperation with Serbian market are HBiS – Smederevo and Impol Seval Sevojno. PL: What are the main obstacles which prevent higher transport through the Bar’s port? – As the most important obstacle, I would set asidethe highway Bar-Beograd which is still unfinished, as well as railway connectionbetween Bar and Belgrade which shall be restored, ie. reconstruction and modernization of railway infrastructure. The thing that especially makes us happy is that both projects from the traffic infrastructure field are on the unique list of priorities of the Government of Montenegro for 2018. We expect the continuation of reconstruction of the railway track Bar – Vrbnica, as well as Bar – Boljare highway’s leg Mateševo – Andrijevica. PL: How do you see the future your work? – The desire and one of the plans are that the Port of Adria and Bar’s port become a hub which shall be used as a central destination of trucks which travel between Western Europe and Turkey. We live in a technological era, so the boundaries are only apparent. It is inevitable that our development strategy is based on cooperation with both local and international companies through the implementation of projects of common importance and interest. Certainly, the focus must be and it is on our own human resources which gives additional value to the services we provide. 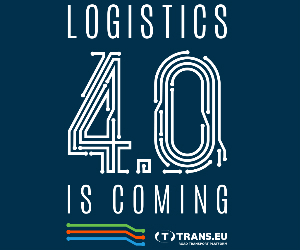 The Port of Adria is absolutely committed to the work and monitoring of all current trends in the logistics. We are at disposal to all clients in order that together better positionon the market. ← Kontrola brzine u 31 zemlji – Još jedna akcija Tispol-a!